Kids will love getting to choose which vehicle they will ride. 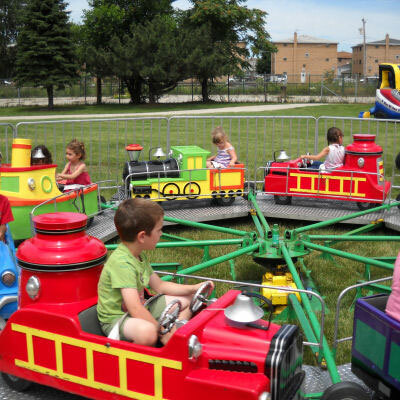 Celebration Authority’s Combo Express Kiddie Ride is a classic carnival midway ride that can be rented for indoor or outdoor use. It is a mechanical hard ride providing amusement. Combo Express includes 8 different cars, boats, trains, planes, and accommodates up to 16 riders at once. This mobile interactive amusement also comes with a perimeter fence to enhance maximum safety.